I never liked the biscotti for sale packaged in retail stores. But, given the opportunity to bake and taste fresh biscotti, I was an instant convert. September 2008 I attended a Baking Bootcamp at the Culinary Institute of America in Hyde Park, NY (a dream week for anyone who loves to bake!). We mixed, baked, sliced, and baked again Hazelnut Biscotti (images 66-72, 78-81, 86, 87, & 107 in slideshow). Given my past experience with biscotti, my expectations related to this recipe were quite low. Why did I ever doubt Chef’s recipe? They were delicious! For the past year, I’ve searched for biscotti recipes. 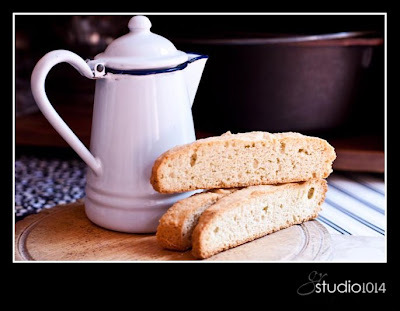 My latest find, which I have not yet tested, I found here – Cannoli Biscotti. My brother continually asks me to make cannoli; maybe this will be the TN substitute for the real thing he experienced in Italy. I converted King Arthur Flour’s Vanilla Biscotti (recipe found here) to Triple Vanilla Biscotti by using vanilla sugar and adding the seeds from one vanilla bean. This is a pure and simple, crumbly, slightly crunchy biscotti. It’s delicious! Chocolate Lover’s Biscotti is just that. The recipe (found here) is just a link click away, in Sydney, Australia. My only deviation from the printed recipe was the use of 100g Green & Black 70% cocoa, since that’s what was in the pantry. Using really good cocoa gives this biscotti a rich, chocolate goodness. I used Pernigotti Cocoa Powder, found at Williams-Sonoma. 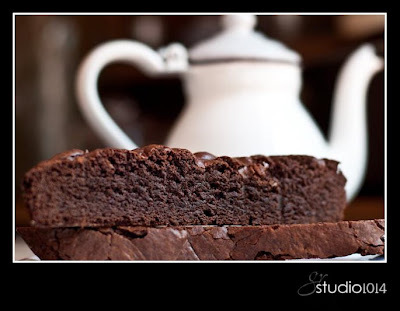 The aroma of rich brownies drifted through the house while the biscotti baked. I did bake them 5 extra minutes on the first bake. The longer they cool, the easier they are to slice for the second bake. I laid them on a cooling rack inside a sheet pan, and baked 20 additional minutes on each side (look closely and you can see the line marks in the photo above). Maybe next time I’ll stand them on the cooling rack, or maybe not. The lines give them ‘character’ or portion control marks if restraint is in your vocabulary.